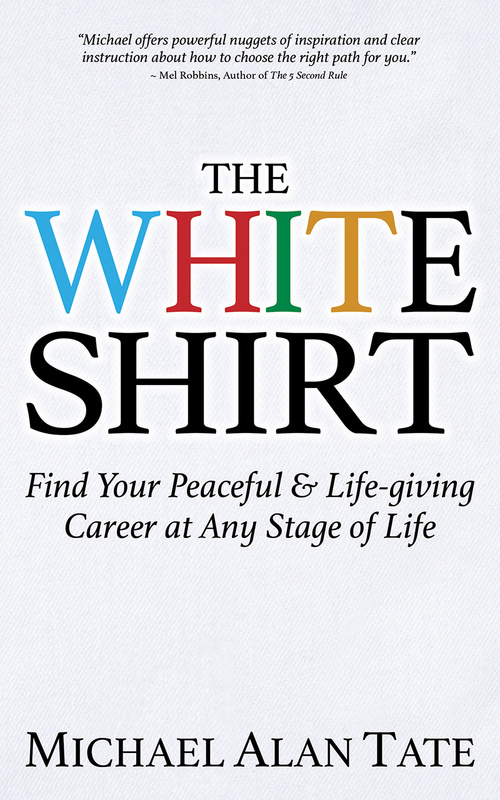 The White Shirt offers a picture of both the struggles individuals go through as they face unknown career futures and the structure that is needed to create their plan. This parable and the strategy it provides will encourage you to begin the journey to your own career purpose. For two decades, Michael Alan Tate has guided top executives through successful transitions at any career stage. His unique “on point, one day, one page” format helps individuals distill their goals into a workable plan that can be put into place immediately. 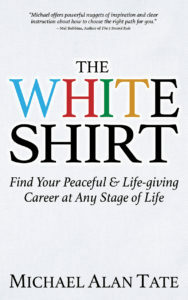 He based the White Shirt Strategy on this highly effective process for pursuing a peaceful career. He lives in Birmingham, Alabama. Visit WhiteShirtBook.com for more information! What’s the Next Step for Your Life and Your Career? Graduating college soon and need to find a good job? Sensing it’s time to make a career move but not sure how? Re-launching your career after years out of the job market? Retiring soon but would rather repurpose your life? Michael Alan Tate has written an imaginative illustration that will help you in your career discovery. The White Shirt is the story of how a young man named Cyrus discovered and applied a few timeless principles to find his place in the world. In the process he learned how to design a simple plan to move into a peaceful career at any stage in life. These processes and principles make up a planned approach that will work as well for you as it did for Cyrus. You’ll also have a step-by-step guide to design your 1-page personal career strategy in only 7 steps.